I just released another new book! 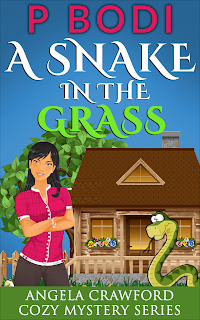 My newest release is titled A Snake In The Grass and this is book three in my Angela Crawford Cozy Mystery Series. He Loves Me He Loves Me Not Now Live On Amazon!